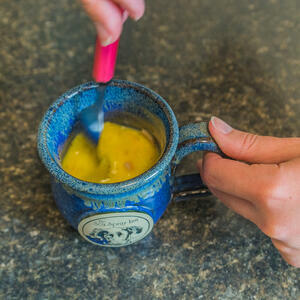 Spray the insides of your mug with cooking spray to keep the eggs from sticking. Add the eggs and a splash of water or milk, then gently beat with a fork to mix the eggs until blended. Do not over-beat the eggs. Add in the ham, cheese, any desired vegetables or fungi and the salt and pepper. Gently stir in the add-ins to incorporate them into the eggs until evenly mixed. Microwave on high for 1 minute and 30 seconds and let sit in the microwave for 1 minute before running out to the car with your hot breakfast so you aren't late for work. Lastly, don't make the same mistake I did. It was almost an hour after I normally eat lunch and I was getting pretty hungry, so I took a bite of my omelet before it had much time to cool. Needless to say, my mouth was an ovoid inferno. Between full-time jobs, dealing with kids and making sure the house doesn't fall apart, most people barely have time to breathe these days, let alone make sure they have a healthy breakfast in the morning. It's often easier just to fill your Sunset Hill Stoneware mug with enough coffee to wire up a small elephant and face the day. That's no way to live. Multiple studies have shown that eating breakfast has a laundry list of important health benefits, although many Americans are in the habit of skipping it. Making an omelet in a Sunset Hill Stoneware mug takes as little as three minutes to complete, and a lot of the prep work can be done the night before. 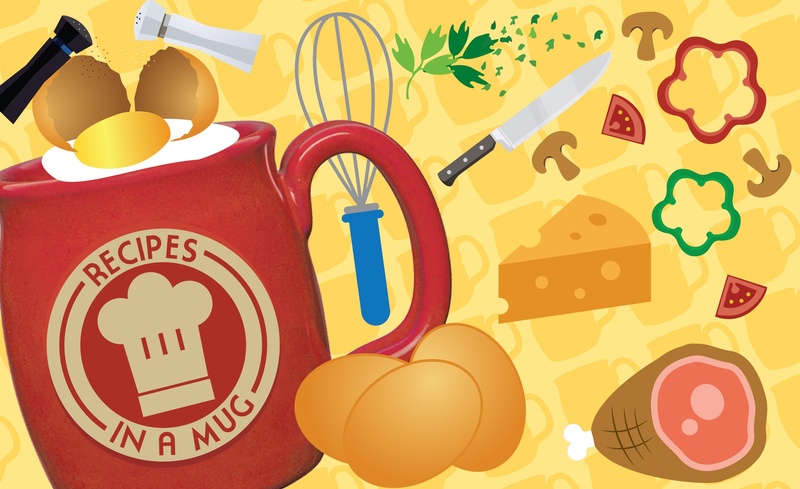 What many of our customers don't know when they first hear about our products is that all of our stoneware is microwave and oven safe, making them a versatile product to take home from gift shops, coffee shops and breweries. In no time, I was able to throw this omelet together without worrying about any explosive consequences, plus the handle of the mug stayed cool to the touch after the omelet was done cooking. This two-minute breakfast of champions will help jump-start your metabolism and has enough protein to keep your body going like Popeye after he's shotgunned a can of spinach. 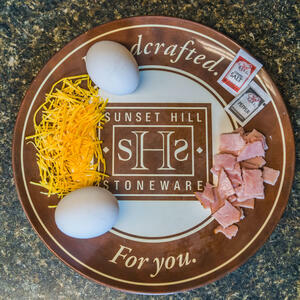 The eggs in this mug omelet will set in minutes in your microwave-safe Sunset Hill Stoneware mug, so you can enjoy a healthy breakfast as you're getting ready for the day or yelling at your kids to get in the car for the third time. 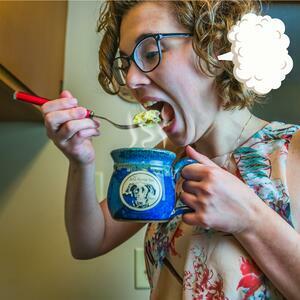 This is far from the only breakfast recipe you can make using Sunset Hill Stoneware mugs or kitchenware. In fact, even this recipe has a thousand possible variations according to your tastes. Meat or no meat, extra veggies, egg whites or egg replacer instead of regular eggs, another porcine additive of your choosing; there are options for everyone. One quick note about using water or milk: While I used a splash of water in this recipe to make the omelet fluffier, you could use milk instead if you want it to be creamier. The only rule is to be careful not to over-beat the eggs, or they will be dense and chewy. A dense, chewy omelet is a sad omelet.